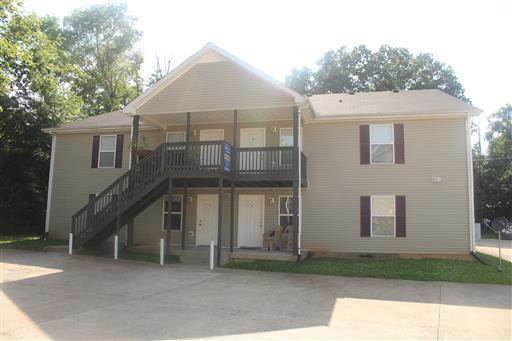 Wow what a great location just off Wilma Rudolph Convent to shopping and restaurants. This unit offers 2-bedrooms and 1 full bath, washer & dryer connections, Kitchen equipped with stove, refrigerator and dishwasher. There is carpet throughout the unit and Tile in the Kitchen and Bathroom area. Covered Deck to enjoy the outside air. Let s not forget to mention that Trash and Lawn Care is provided. Small Pets welcome. Directions:Take Wilma Rudolph to Terminal Rd by Wendy's go to the end of the road and make a left. SchoolsClick map icons below to view information for schools near 2824 Cobalt Drive Clarksville, TN 37043. Listing provided courtesy of Keystone Realty and Management. Home for sale at 2824 Cobalt Drive Clarksville, TN 37043. Description: The home at 2824 Cobalt Drive Clarksville, TN 37043 with the MLS Number 1980842 is currently listed at $0 and has been on the Clarksville market for 71 days. You are viewing the MLS property details of the home for sale at 2824 Cobalt Drive Clarksville, TN 37043, which is located in the Terminal Road subdivision, includes 2 bedrooms and 1 bathrooms, and has approximately 850 sq.ft. of living area.